As a photographer, you’ll want to control your camera remotely on occasion. For example, if you’re shooting landscapes by the sea and don’t want to get your feet wet, taking a group portrait you’re also in, playing around with self-portraits, or making a timelapse, remote control is essential. Let’s explore some of the different options. The simplest remote shutter releases are just a button you press, and your camera takes a picture without you touching it (very useful for long exposure or landscape photography) but the vast majority include features like time-lapse, delay, and exposure timers. We’re huge fans of remote shutter releases because they’re cheap, lightweight, idiot proof, and can live in your camera bag. The other options we’re going to look at are all either expensive, fiddly, or involve extra gear. I use the Pixel TW-283. 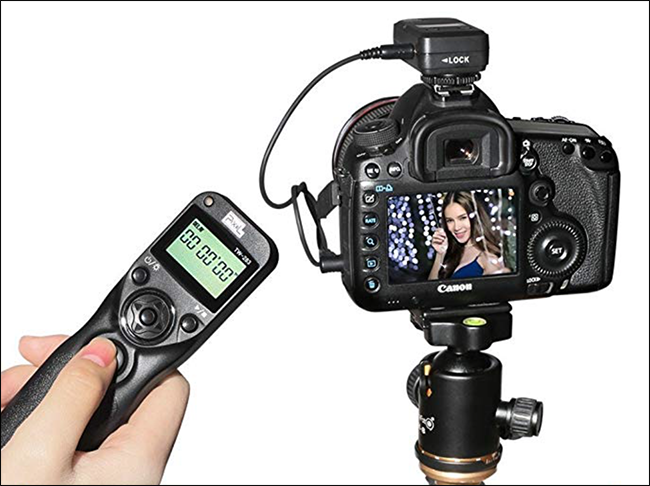 It’s both a wired and wireless shutter release, costs less than thirty bucks, and has both long exposure and time-lapse modes. There’s pretty much nothing not to like. Just make sure you get the version with the right cable for your camera. More and more modern cameras are coming with Wi-Fi and Bluetooth so you can connect and control them from your smartphone or tablet. 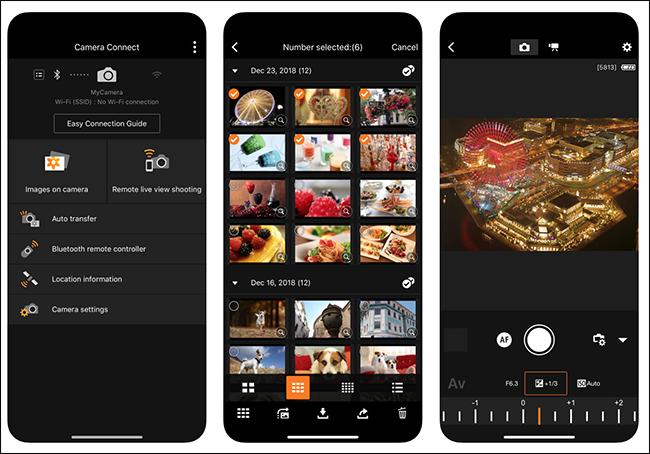 In general, you connect your smartphone to a wireless network created by your camera and then use either Canon’s Camera Connect app (iOS, Android) or Nikon’s Wireless Mobile Utility (iOS, Android). The best thing about this option is it’s free; if your camera has Wi-Fi and you have a smartphone, you’re good to go. 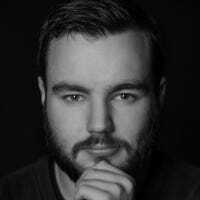 The other significant advantage is that you get a live view on your phone; if you really can’t be near your camera, you can at least preview your shot. It’s also convenient to be able to transfer photos to your phone quickly so you can edit and share them, no computer needed. While remotely controlling your camera from your phone is an excellent idea in principle—and the apps kind of work—most of the time you’re not going to want to mess around with your smartphone when you’re trying to take a picture. The apps also lack some pretty significant features; there’s no timelapse mode or powerful video controls in either. To be honest, they’re both a bit half-baked. If your camera has wireless, play around with controlling it from your smartphone. If it works for your needs, go for it. If not, check out the rest of this article. Studio photographers, and other professional photographers, regularly connect their camera to their computer. The main reasons are so that they—or their clients—can preview photos on a much larger screen and that the images are automatically backed up, but it’s also a way to control a camera remotely. The most obvious downside to this option is that it involves your computer, so it isn’t a great portable travel solution. Instead, it’s best used if you want to do something like take a timelapse from your apartment, absolutely need a way to remotely control your camera, or have a super specific use in mind like astrophotography. Adobe Lightroom supports tethered shooting with both Canon and Nikon cameras but, for features like time-lapse control, you’re better off going with Canon EOS Utility for Canon cameras (available on both Windows and Mac). For Nikon shooters, your best options are digiCamControl if you have a Windows PC or Sofortbild if you have a Mac. They’re all free; you just need a USB cable that connects to your camera. 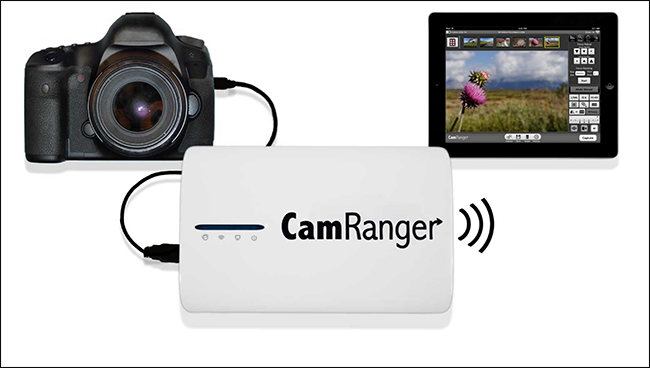 The best—and by far most expensive—way to remotely and wirelessly control your camera is CamRanger. CamRanger is a $300 box that connects to your camera. It creates a wireless network so you can connect your smartphone or computer and then use the dedicated app to control your camera. The difference between this and Canon or Nikon’s solutions is that CamRanger is incredibly feature-packed. With CamRanger, you get a wireless live view, total exposure control, movie recording with focus control, macro and focus stacking, timelapse and HDR support, the ability to transfer photos to your phone or computer, and loads more. While it still has all the downsides and clunkiness of controlling your camera from a smartphone, CamRanger at least adds enough extra features that in certain situations, it’s definitely worth the tradeoff. Every photographer needs a way to trigger their camera remotely. At some point, you’ll at least be roped into taking family photos where you have to be in them. There’s also really important if you’re into taking landscapes, long exposures, or time-lapses.